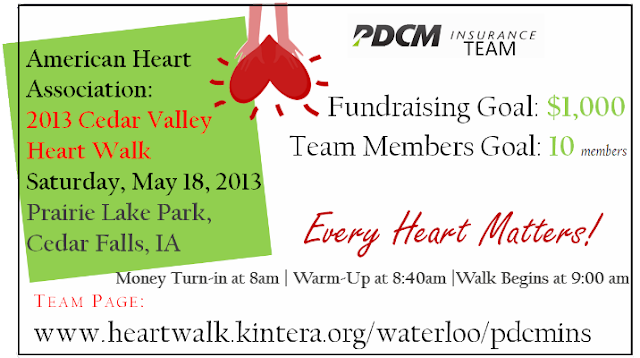 Join us in the 2013 Cedar Valley Heart Walk: Every Heart Matters! Thinking about becoming an organ donor? April 4, 2013 in Helping Our Community, PDCM News.